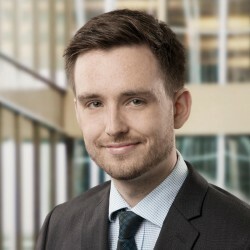 Cameron MacDonald is a Principal Economist in the Financial Stability Department at the Bank of Canada. He is involved in the assessment of risks and vulnerabilities associated with financial institutions such as banks and life insurers. Other interests include stress testing, macroprudential policy, and mortgage finance. He holds an MA in economics from the University of Toronto. Risk assessment models are an important component of the Bank’s analytical tool kit for assessing the resilience of the financial system. We describe the Framework for Risk Identification and Assessment (FRIDA), a suite of models developed at the Bank of Canada to quantify the impact of financial stability risks to the broader economy and a range of financial system participants (households, businesses and banks). In this note, we explore two types of risk faced by holders of mortgages and home equity lines of credit (HELOCs) in the context of rising interest rates: interest rate risk and renewal risk. This report reviews the use of quantitative tools to gauge market participants’ assessment of banking system resilience. These measures complement traditional balance-sheet metrics and suggest that markets consider large Canadian banks to be better placed to weather adverse shocks than banks in other advanced economies. Compared with regulatory capital ratios, however, the measures suggest less improvement in banking system resilience since the pre-crisis period.